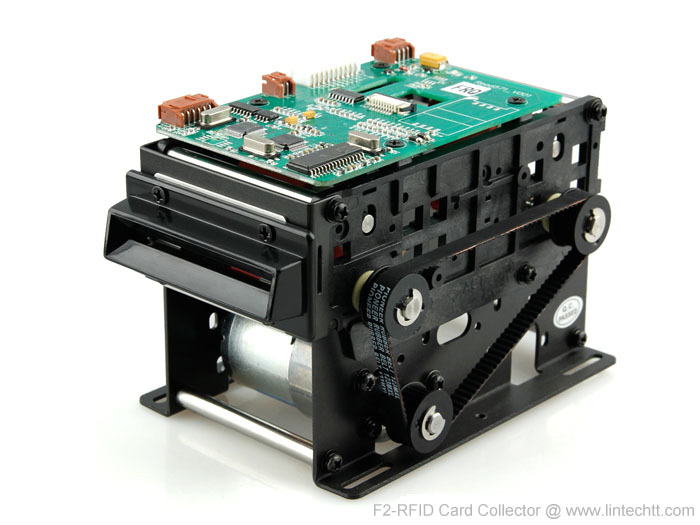 F2-RFID card collector with RFID reader writer. Fine wearable and anti-corrosive rubber material and metal support are adopted, which can effectively prevent RF module from being interfered by metals. The product is extensively used in parking lot systems and sight spots, etc. 1. With RFID reading / writing module which supports Mifare 13.56MHz card read and write ISO14443A. 2. Rational construction, the speed of receiving card is very fast. 3. Unique dispensing wheel design: effectively prevents from dust accumulation and it’s capable of self-cleaning. 4. 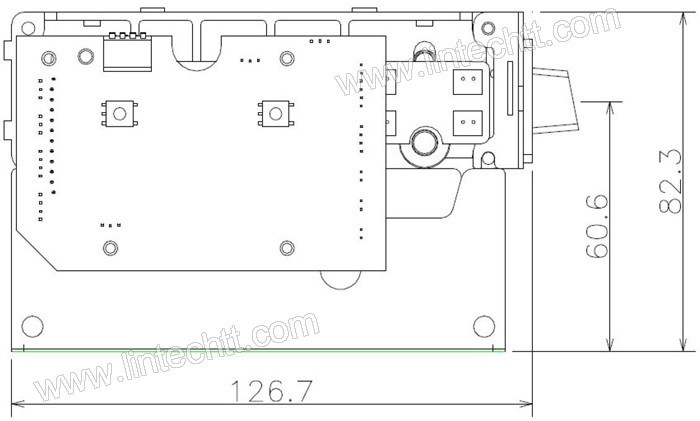 Extension-hole positions: are reserved for installation of RF module and barcode scanning module. 5. Multiple levels of sensor circuit protection: prevents optical interference.